Worlds leading mobile communication company,Nokia has launched its new mobile E72 with its new feature of Nokia messaging which gives user to access multiple personal email accounts, windows live, yahoo messenger, ovi chat, google chats all are supported.Music lover can entertain themselves with 3.5mm headphone jack, it has 5 megapixel camera with high quality pictures which support vedio recordings of 640*480px. It has a3.5G connectivity with long lasting battery which will stop you to talk. 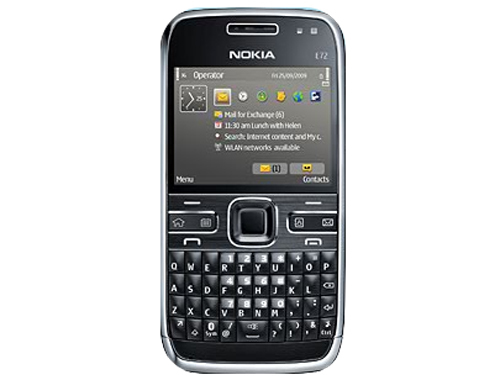 Additional feature with Nokia E72 is 2.36 QVGA display and WLAN enjoy vedios, music, GPRS and Nokia maps, UPnP, Bluetooth and USB2.0 high speed. But sometimes optical navi-pad creates problem at times. But it is a smartphone with stylish features and comfortable to use. This E72 is around Rs. 23,000 (INR) and is available on mobile stores. Nice story as for me. I'd like to read a bit more about this topic.